A US-based start-up has developed an alternative approach to storing the sensitive data required to make a transaction with an NFC phone. Rather than placing it in a secure element on the phone, SimplyTapp stores the data in the cloud on a “remote secure element” and passes encrypted transaction data through the phone to a point-of-sale terminal when the user makes a purchase. A US start-up, co-founded by an NFC engineer who has been working in the field since 2005, has come up with a new approach to managing the sensitive data involved in making a payment with an NFC phone. Instead of storing private data, such as payment card details, in a secure element (SE) on the phone, SimplyTapp stores data in a “remote secure element” in the cloud. When a consumer makes a purchase, the data is pulled down from the remote secure element and passes through the phone to the POS terminal, where the data is presented in the same format as that used in standard card emulation mode transactions. The concept runs counter to accepted wisdom on how to keep sensitive transaction data secure within a mobile phone. NFC security standards for “card emulation mode” — the term used when an NFC phone presents itself to a POS terminal as if it were a contactless card — are based on the idea that a mobile phone is not a safe environment for sensitive data. All such data, therefore, is stored within a physical secure element on the phone, located within a SIM card, embedded into the handset or added to the device via an external microSD device. Critical to this type of secure system is that, when a transaction is made, data is exchanged between the secure element and the POS terminal without the data ever passing through the phone’s main memory. SimplyTapp has been working with the team that runs the CyanogenMod operating system to make the technology available on “modded” Android phones in the first instance, via a Host Card Emulation (HCE) patch for the operating system. SimplyTapp is available today for developers to run on modded Android phones, allowing them to add the SimplyTapp app as well as a variety of stored value cards to their phones, including the McDonald’s Arch Card and SimplyTapp’s own prepaid card. 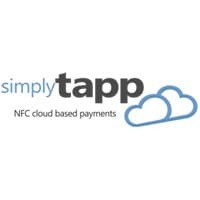 All Blackberry OS NFC devices currently support HCE, and SimplyTapp is currently working to support these as well. How secure could such a solution ultimately prove to be? “I think it’s absolutely possible for EMV transactions to be done using remotely hosted credentials,” says Yeager. “We’re not suggesting vulnerable keys are kept in the operating system itself. We are locating them in the cloud and passing only the transactional data that is generated from them securely through the phone to the POS device. Excellent idea! So much more secure than having the SE on the phone itself or on the SIM. The notion that a phone service provider should become a stakeholder in mobile payments is absolutely inappropriate for several reasons and must be avoided at all costs. I can’t see how the transactions peed required could be achieved. Also, imagine using it for a transit card, in an underground station. This has already been done by a Canadian startup, AlfredNFC, with a patent pending idea. Check out http://alfrednfc.com.